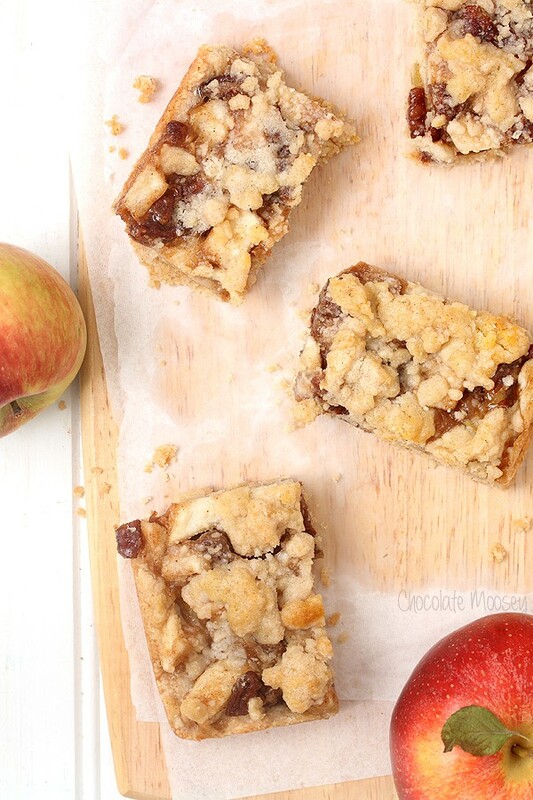 Apple Pie Crumb Bars have everything you love about apple pie – buttery dough, homemade pie filling, lots of spices – without needing to make a pie crust. Being the avid baker that I am, I’m often asked how am I not fat eating all of my baked goods (for the record, I’m not a skinny super model, but I’m certainly not big either. Most people say I have an average body type, and I’m perfectly fine with that). Truth is I give most of my food away. When I worked my corporate job, I was always bringing in food on Mondays. Coworkers often (jokingly) accused me of sabotaging people’s diets at work. Hey, I’m just here to test your willpower. Now that I work at home, I have to be a little more creative in giving food away. My library was taking donations for their bake sale fundraiser, so I showed up with three freezer bags full of peanut butter fudge (this recipe and another version not posted yet) and yesterday’s rocky road cookie fudge bars. 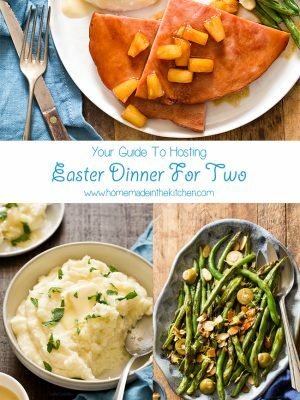 Earlier this month, my friend invited me over for Supper Club where everyone brought over a dish to eat together. 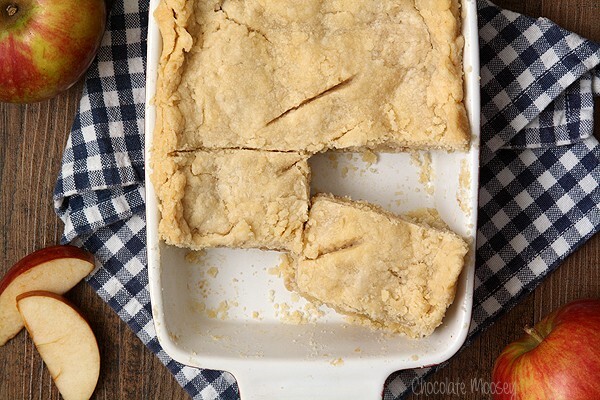 I wanted to actually cook for it, so I brought pulled chicken sandwiches along with leftover caramel apple cheesecake and these Apple Pie Crumb Bars. Everybody was full so not many people ate them on the spot, but they did take them home. 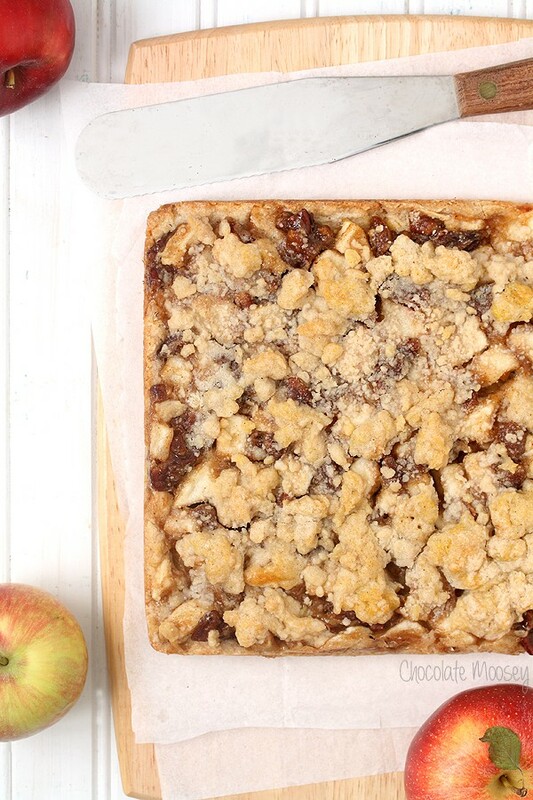 These crumb bars have the flavors of apple pie yet you don’t need to make a pie crust. 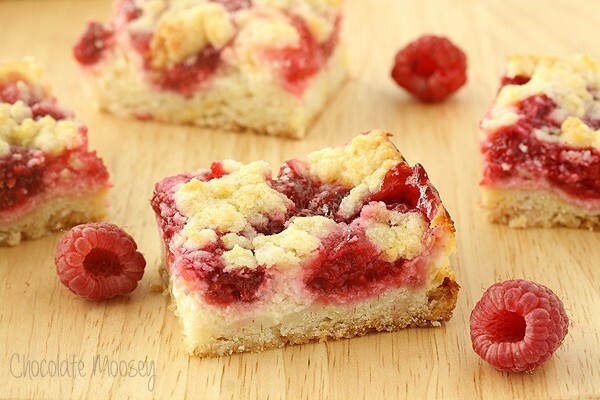 Whether you feel uncomfortable about making homemade pie crust or just don’t have the time or energy, these crumb bars are perfect for bakers of any skill level. Crumb bars are nothing new on Chocolate Moosey. 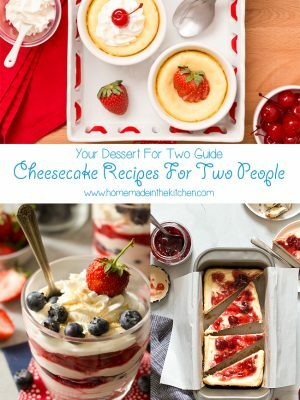 I’ve made both peach and raspberry versions that included a cheesecake layer. I know, I know. 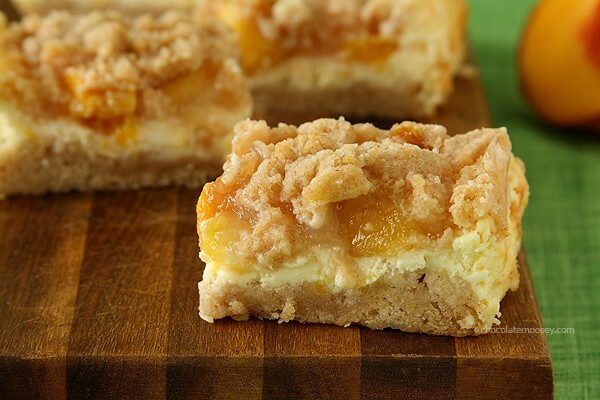 Of all the people in the world, I didn’t put a cheesecake layer in my apple pie crumb bars. It was partly because I was already bringing caramel apple cheesecake to my friend’s supper club and partly because I already posted about said cheesecake and my no bake caramel apple cheesecake parfaits. 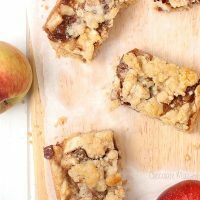 I thought, why not just make regular crumb bars to change up my routine? For a bit of crunch I added chopped pecans because they are one of my favorite nuts to bake with (besides hazelnuts). You could certainly use walnuts instead or just leave the nuts out altogether if somebody has a nut allergy. 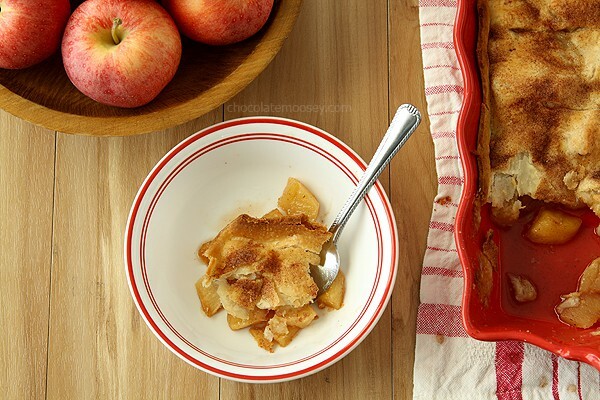 I chose to make apple pie because it’s apple season in October, but these bars are very versatile with most fruits – pears, peaches, cherries, strawberries, raspberries. 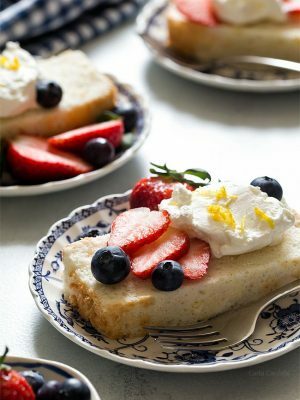 Use whatever fresh fruit is in season and go crazy. If you do opt for frozen fruit, make sure it is completely thawed and drained of any excess liquid. Preheat the oven to 375F. Line an 8x8 pan with parchment paper. 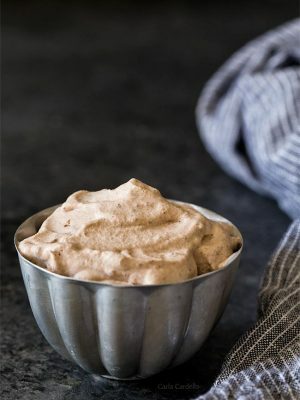 Make the pie filling: In a large saucepan, combine apple cider/water, juice, sugar, cornstarch, cinnamon, nutmeg, and clove. Stir over medium heat until thickened and bubbly, about 2-3 minutes. Once it bubbles, cook for another 2 minutes, constantly stirring. Remove from the heat and stir in the vanilla, apples, and nuts. Cool while making the base. 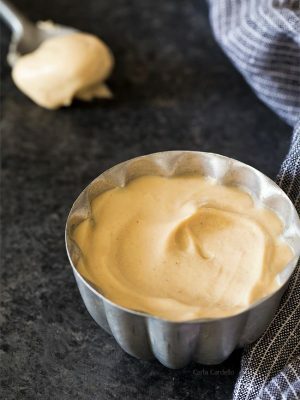 Make the base: In a large bowl, whisk together the sugar, flour, cinnamon, baking powder, and salt. With a pastry cutter or two knives, cut in the butter until the pieces look like small pebbles then cut in the egg. Dough will be crumbly. Reserve 1/2 cup for the topping and pat the rest into the bottom of the pan. Top with the apple filling then the reserved 1/2 cup of dough, scattering it over the top. Bake 35-40 minutes or until the top is golden brown and the edges pull away from the pan sides. Cool completely before serving. Store leftovers in an airtight container for up to one week. 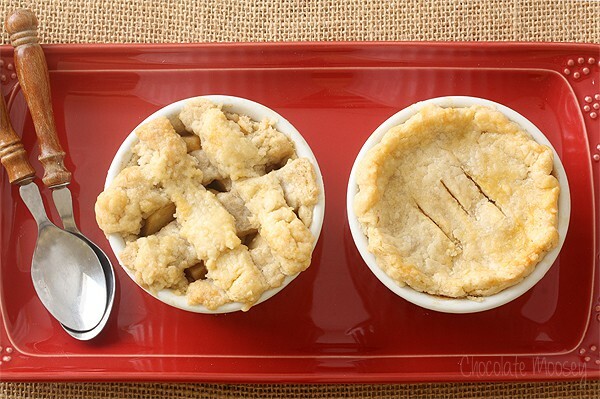 Yes, everyone does love apple pie. So these would be a hit especially at a potluck for example. I also agree that fruit would be interchangeable. Right now my head space is into apples apples apples. Probably because I have a tree in my back yard and thus a BIG bowl of apples staring me in the eyes in my kitchen. This is a good thing. Thanks for answering my question, Carla. I’ve been asking myself how do food bloggers finish their food? Obviously, it’s just the two of us at home and our work places are generous enough to get our lunches every day, plus people are eating healthy stuffs (no sweets and mostly fruits). A donation to library or meetup groups sounds like a good idea. 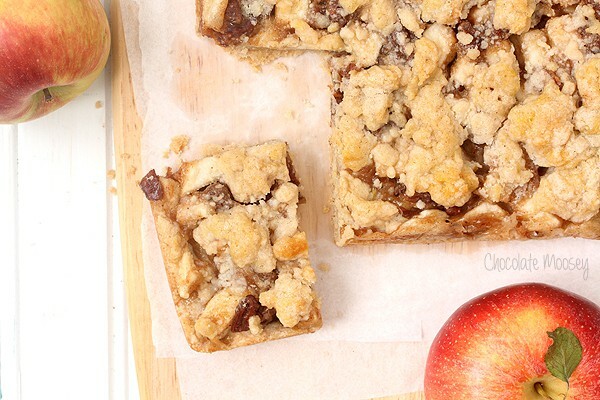 And these apple pie crumb bars sound fantastic, especially with pecans on top. 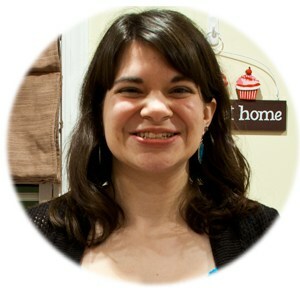 Someone told me she donates her food to soup kitchens, so that could be an idea too! I haven’t looked into any around here yet. 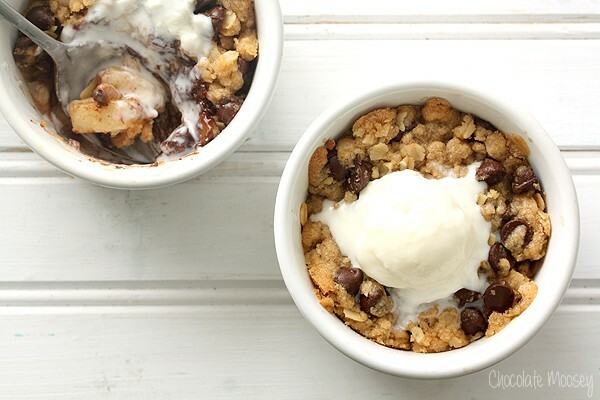 Thank you for giving us a delicious sounding Apple Crumble that does not include oatmeal! I have looked high and low for this recipe! 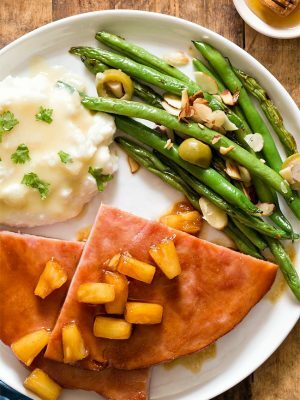 You do such a great job with all your recipes that I kmow we’ll just love this one! Apples and spices! I already love these bars! Hi Carla. I made these fabulous bars today and they were a hit with my husband and MIL. They’re already half gone because hubby couldn’t stop eating them. I’m definitely going to be making them again. Thank you for a great recipe! I have tried some of your recipes and they are all delicious. I have a computer, as you see, but don’t know how to send pictures of what I bake. I’m never afraid to try any of your recipes, because I know they are all good. 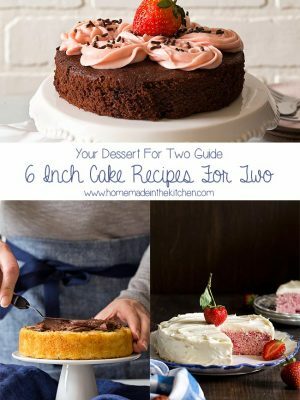 Love your recipes for two, as it’s just my son and I to bake for. 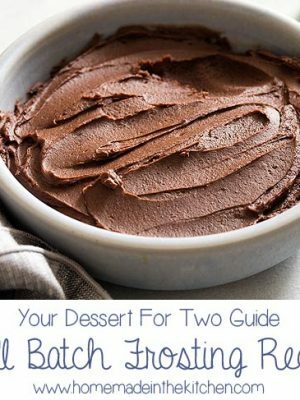 If it’s not for two, I just cut the recipe in half and make it. 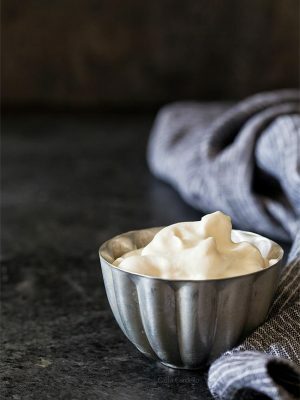 One thing I like too, the ingredient’s are things I already have in the kitchen, so don’t have to shop for unusual ingredients. Thank You!! Thanks for your comment, Wilma! No worries on sending the photos. I’m glad you and your son are enjoying my recipes.